YA for the YAt Heart: Amazing book covers from some amazing friends! Amazing book covers from some amazing friends! I am very VERY lucky to be part of a writing group that is filled with women who are not only fantastic, talented writers, but more importantly, women who are strong, empowered, intelligent, beautiful, reliable and caring to the depths of their very souls. Some of them are college students, some of them are getting married, and some of them are dealing with teenage children! (I'm not there yet, God help meeeeeeeee! LOL) I am so lucky to call these women my friends. We are a group of writers who are at all different phases of the writing journey and who respect, help, and route for each other in both our professional and personal lives. 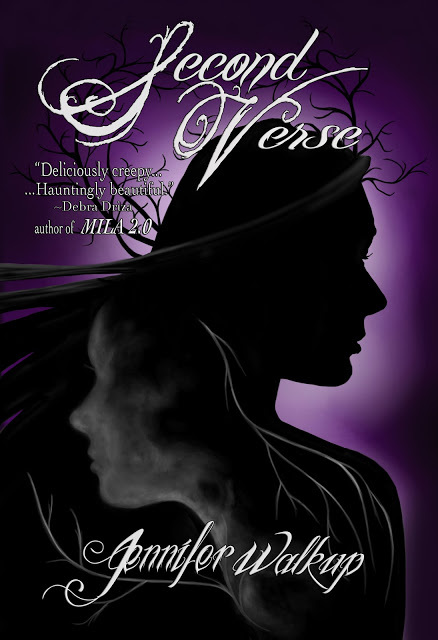 The first one up is Jennifer Walkup's debut YA novel, Second Verse, which set to be released on October 1st, 2013 from Luminis Books. Murder NowLange Crawford’s move to Shady Springs, Pennsylvania, lands her a group of awesome friends, a major crush on songwriter Vaughn, and life in a haunted, 200-year-old farmhouse. It also brings The Hunt: an infamous murder mystery festival where students solve a fake, gruesome murder scheme during the week of Halloween. Well, supposedly fake. 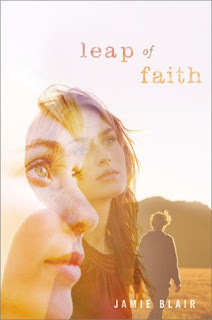 Next up is Jamie Blair's debut YA novel, Leap of Faith, set to release on September 3rd, 2013 by Simon and Schuster Books for Young Readers. Now that Leah Kurtz has a place to call home, there’s no way she can tell the truth. That her name is Faith, not Leah. That she’s seventeen, not nineteen. That the baby isn’t hers—she kidnapped her. She had to kidnap Addy though. She couldn’t let her newborn sister grow up like she did, with parties where the drugs flow all night and an empty refrigerator in the kitchen holding nothing but pickle juice and ketchup packets inside. She can’t risk losing Chris—the only guy she’s ever given herself to completely—by telling him she’s been lying. He’s the most generous person she’s ever known, and he’s already suffered the tragic deaths of his mom and infant sister. But being on the run with a newborn catches up with her when a cop starts asking questions, and Chris’s aunt finds a newspaper article about Faith and a missing baby. Faith knows it’s time to run again—from Chris and the only place that’s ever felt like home. Goosebumps much? I have been very lucky to have Jamie beta read all my stories and to get to see all her work during various drafts. She is an amazing writer and I can't tell her enough how envious I am of her mad skills when it comes character introspection. 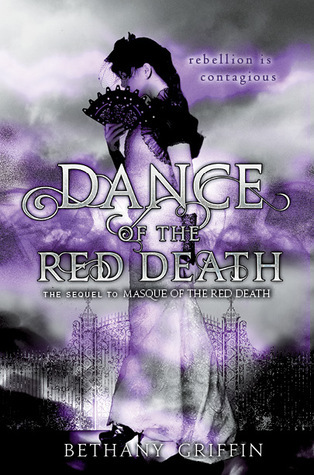 Moving on, we come to the amazingly beautiful cover for Dance of the Red Death, which is the sequel to Bethany Griffin's Masque of the Red Death (another cover that was so visually stunning that I have to show both). The world is set to explode in three months. The source: a lonely girl with an extreme superpower fueled by the negative emotions inside her. The solution: send fourteen year old superhero-in-training Kale Zenith to be her friend and give her a reason to smile. The problem? The girl trusts no one. With the fate of the world in Kale’s hands, quitting is not an option. Perseverance is key to knocking down the many walls around her, and soon he gets to know Lindsay as more than just the girl who will destroy the planet. But there’s trouble back home. A secret plot is brewing inside his superhero League, and it’s up to Kale to expose the traitor. But that takes time away from Lindsay when she needs him most. 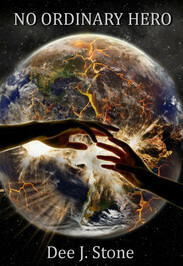 Can he save her and the world before it’s too late? Dee is another friend/crit partner of mine. I love reading her work and she is a fantastic beta reader (COMMAS ARE MY NEMESIS!). I cannot wait to (beta) read the sequel to this story!!!!! And she does her own covers! I'm in AWE! 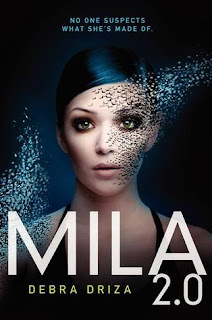 And finally (for this post anyway :D) I have the amazingly talented Debra Driza's debut YA novel, MILA 2.0 which was JUST released on March 12th from Katherine Tegen Books. So, these are just a couple of books/covers from the amazing, talented writers from my online writer's group that I'm so blessed to be a part of. I'm incredibly proud and excited for each of them and wish them all the success in the word with these books and all their future ones! P.S. More covers to come soon!